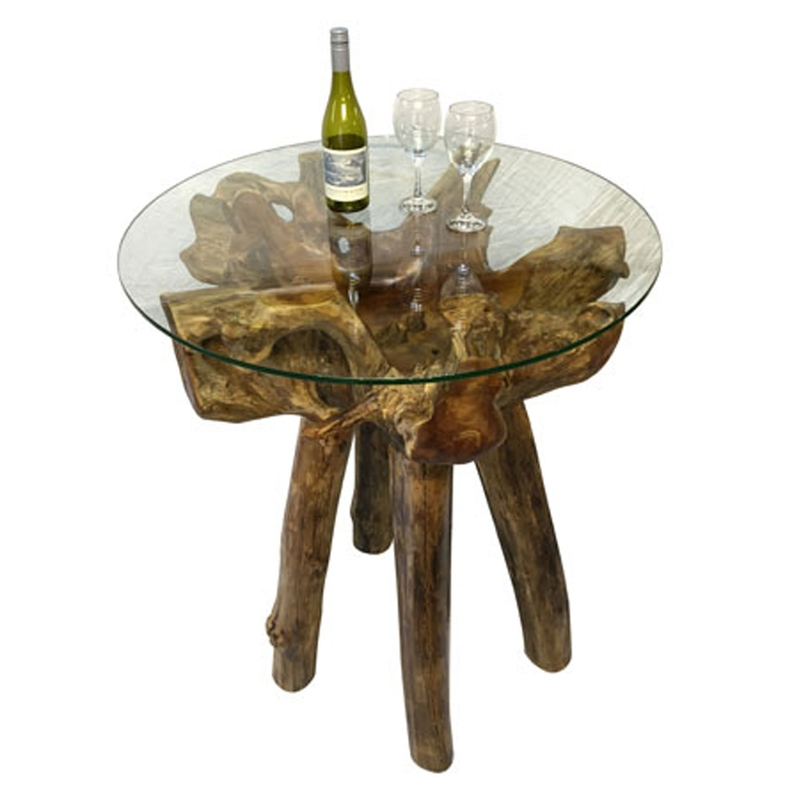 Add a contemporary style to your home by introducing this gorgeous Teak Root Bar Table With Round Glass. This bar table has a beautiful design that features a teak root base. This base includes four legs, holding up a round glass surface that combines with the base to create a very distinctive and stylish design.